Notice how the board is a yellowish green color. 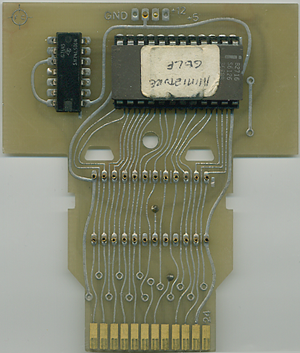 This type of board was used only on very early 2600 prototypes (77-79), and is a very rare find. This prototype only uses one EPROM because Miniature Golf is only a 2K game. 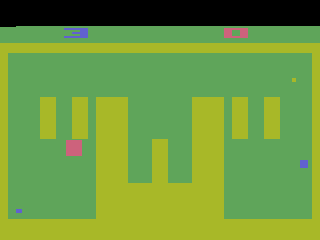 This is the final version of the game. Which square am I again?